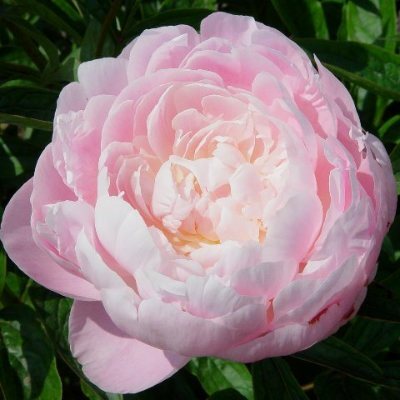 Full double; large, cupped petals of soft pink. Side buds extend flowering season. Pleasing fragrance. Much loved for its color and form; productive and free flowering. Robust, medium tall plant with very open habit, needs support in the viewed landscape. APS Gold Medal 1948.